The Czech Air Force demo pilot, rewarded two times in 2017 for his amazing performances, impressed the audience of SIAF 2017. Gripen Blogs posted an interesting interview with Captain Ivo Kardoš, Czech Gripen demo pilot from the 211th Tactical Squadron at Čáslav AFB. He performed an amazing flying display during the Slovak International Air Festival (SIAF) 2017 on August 26-27. Captain Kardoš recently won one of the most prestigious international display awards: the "Best Flying Demonstration by an Overseas Participant" at the Royal International Air Tattoo - RIAT 2017 (More details here). Kardoš beat more than 60 pilots – which is quite an achievement given that he became a display pilot only at the beginning of this year. He also demonstrated his excellent flying skills at another air show - RNAS Yeovilton, Britain, where he won an award for his performance again. Gripen Blogs asked the following questions to the Captain. What is the main role of a display pilot? The main role of a display pilot is to represent the Air Force and to demonstrate his flying skills as well as the capabilities of the aircraft. 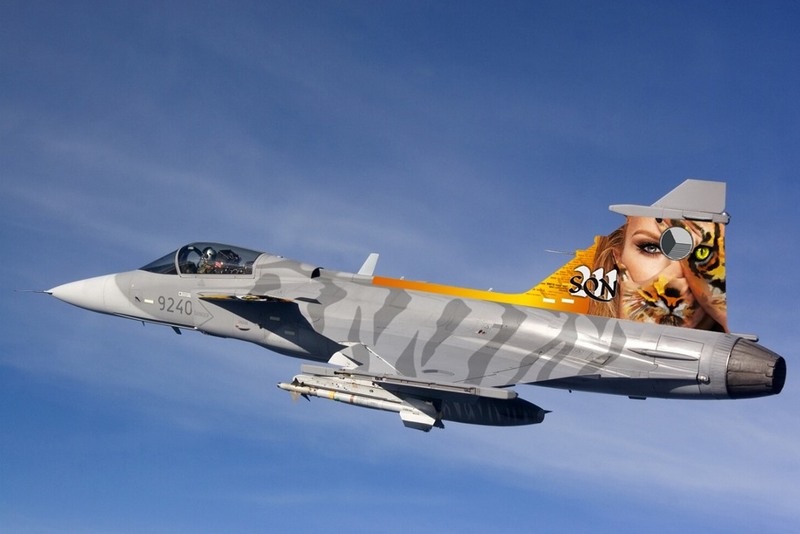 Can any Gripen pilot become a display pilot? Or does he need to fulfill certain criteria and undergo special training? The display pilot is selected from the Gripen squadron pilots. The Air Force always has just one display pilot for every type of flying aircraft at a time, and it’s a very prestigious position that lasts no longer than three years, mostly due to safety reasons. The display pilot needs to be very experienced with the given type of aircraft and needs to be recommended for this position by his superiors. Before the first display performance, the pilot must undergo a certification process, during which he has to prove to a special committee that he is able to perform his dynamic display in line with the set standards. Regarding the flight demonstration you are going to perform, is it something you’ve invented or was it put together by a team of people? A majority of the elements of the performance were taken from previous Gripen display pilots. The entire performance is a mixture of the best elements, which are highly demanding to perform. People look forward to watching a Gripen aerial display at air shows and it is now my turn to continue and to build on the excellent performances of my predecessors.